A history of condoms in the Olympic Village, from 8,500 in Seoul to 450,000 in Rio. 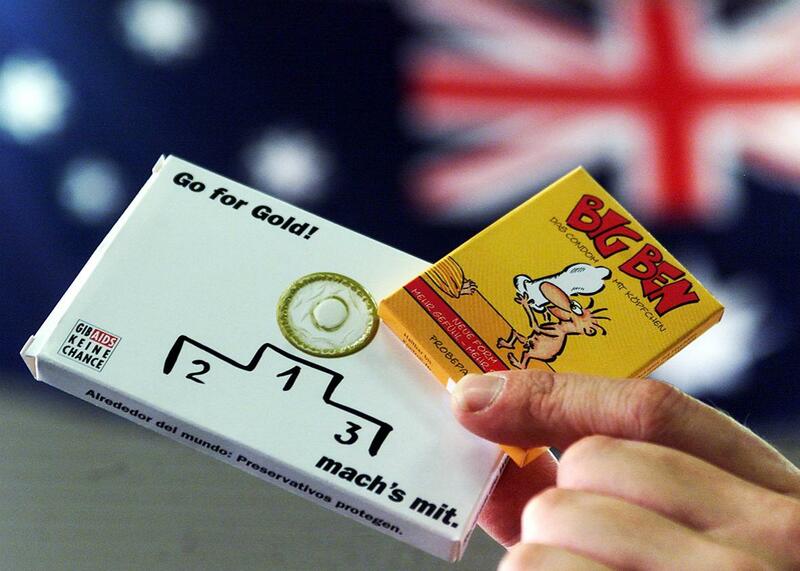 A package of condoms in front of an Australian flag during equipment check of the German Olympic team in Mainz, Germany, Aug. 9, 2000. Last week, the Brazilian newspaper Folha de São Paolo reported that a record-breaking 450,000 condoms would be provided for athletes at the Summer Games in Rio de Janeiro. Ever since the games’ condom count was first reported for the 1988 Olympics in Seoul—that number was 8,500—the press has dutifully recorded the size of the games’ latex supply. (The one exception: the 2006 Winter Games in Torino, for which figures were never released.) These numbers aren’t always parallel: Sometimes, media reports cite the amount of condoms distributed solely to athletes, while other numbers include those handed out to press and volunteers. The graphic below features our best estimate of the condom count for each Olympics since Seoul 1988, and we’ve shown our work at the bottom of the page.